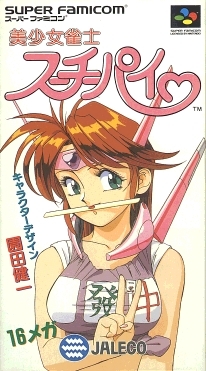 Bishōjo Janshi Suchie-Pai is a mahjong game and the first title in the Idol Janshi Suchie-Pai series. Eighteen-year-old Misaki Kyoko can transform into the hero Suchie-Pai, the player character. Suchie-Pai plays mahjong, and challenges others (all pretty girls ages 18 to 26). The graph below charts the compatibility with Bishōjo Janshi Suchie-Pai since Dolphin's 2.0 release, listing revisions only where a compatibility change occurred.